Fire, brilliance and scintillation; these are the properties that give diamonds their coveted sparkle. For decades, bricks and mortar jewelers have relied upon flattering spotlights to amp up the sparkle of lacklustre diamonds, dazzling unwitting buyers to part with their money without knowing the full story. A high-quality diamond will give the desired twinkle even when the lights are low, so while its important to trust your eyes, in order to truly assess the light performance of your diamond I recommend digging a little deeper and familiarizing yourself with diamond diagnostics. This transparency when shopping allows you to really understand how your diamond interacts with the light and in an accurate and reliable way. 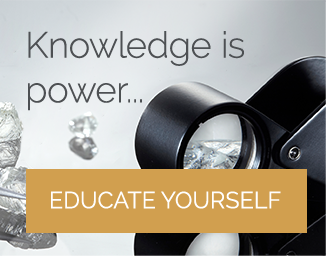 There are various methods that experts use and each will expose different aspects of the performance of your diamond. No more hiding behind spotlights and doctored images; here is how diamond imaging will help you find the diamond of your dreams. In recent years we have become all too aware of the extensive use of editing to enhance and alter the images we see. Photographs can be made bigger or smaller to fit the needs of the company, distorting the perspective and giving an inaccurate view of the product. When buying a diamond online, it is essential that we see the diamond as close to a true, ‘in the flesh’ view as possible. Diamond imaging involves photographing the diamond under particular conditions in order to gain the most accurate view possible. The diamond is taken from its background and photographed within a template. 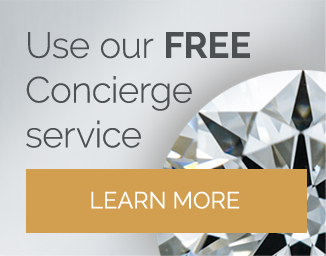 This creates consistency when viewing diamonds online. When looking at diamonds photographed in this manner, any blemishes, inclusions and features can be easily identified. It is also a useful tool when looking at the Hearts and Arrows feature of a diamond (or lack thereof). The imaging clearly shows the facets and symmetry and the arrows will show as darker areas, making any patterning easier to identify. These images can usually be viewed at up to 20x magnification, giving a closer look at the finer details of the diamond. 360 video imaging is an industry tool which gives the closest possible experience to viewing a diamond in real life. The diamond is filmed within a light box which allows you to see how the diamond interacts with the light and how much fire, brilliance and scintillation it has. However, a word of caution; video imaging should not be seen as a substitute for other, more accurate forms of diamond analysis such as ASET maps. Being able to have a ‘real view’ of the diamond is an excellent feature, but just like viewing a diamond under the flattering lights of bricks and mortar jewelers, it does not give us all the information we need about the light performance of the diamond. Use video imaging in conjunction with other details to build a complete impression of your diamond. Whiteflash and James Allen provide HD 360 Videos on all their diamonds. The Ideal Scope is an industry specific tool which gives a visual interpretation of how the diamond handles light. 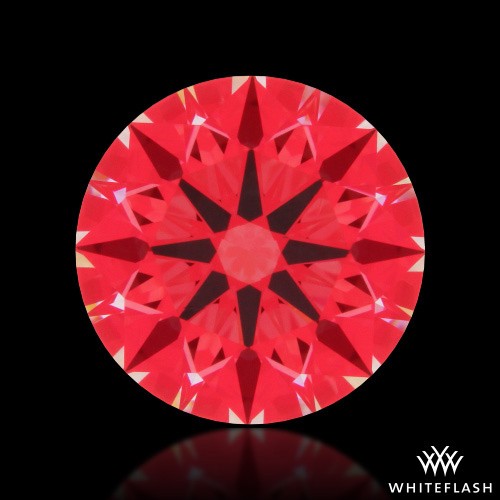 The images show the diamond in shades of red, with white areas indicating light leakage in the diamond. The black is the reflection of the camera lens which acts as an obstructing of lighting, mimicking a viewer’s head when looking at the diamonds. The Ideal Scope is am excellent way of viewing the true symmetry of a diamond and the structured light environment reveals any issues in the way the light bounces within the diamond. A beautifully cut diamond will show a symmetrical pattern and good proportions. An Ideal Scope image of an ideal cut diamond will have plenty of red light areas with defined and evenly spaced black arrows. There will be minimal grey, white or lighter areas indicating light leakage and all patterning will be symmetrical. By contrast, a poorly cut diamond will not display symmetry, but rather it will present a chaotic pattern with higher areas of grey and white. The arrows will not be defined and there will be areas of pink across the image. This clever device will tell you more about how a diamond will sparkle than a standard photograph ever could. When a diamond is cut to a high degree of three-dimensional precision, a pattern of eight hearts can be seen through the pavilion and 8 arrows when viewed through the crown. To assess the symmetry and presence of a hearts and arrows pattern within a diamond, the better vendors will offer a hearts and arrows viewer. This optical grading system looks for 8 perfectly symmetrical and evenly spaced hearts which are uniform in shape and split from one another by a set of equally uniform arrows. The pattern is scrutinized and measured to assess whether or not the diamond can truly be classed as a ‘hearts and arrows’ diamond. A heart with a cleft that measures over 8% of the total length of the heart, or indeed displays any other deformities in the spacing, structure and uniformity, will not make the grade and therefore will not be considered a True Heart. Similarly, arrows must be uniformly separated from one another and an equal distance from the heart. The arrow must have a defined shaft and arrow head with straight and clearly defined edges in order to be graded. This image from Whiteflash shows examples of a hearts and arrows view. Taken from their ‘How are Hearts and Arrows Graded’ article, this sample shows four diamonds displaying deformities, and the far-right diamond is a true hearts and arrows diamond. If a vendor is claiming to sell hearts and arrows diamonds, they should provide a hearts and arrows view as well as educational information on how to read the image. You will find many companies claiming to sell a hearts and arrows diamond, but failing to back up with the necessary details. It is likely that what they are selling is a ‘near’ hearts and arrows diamonds. Avoid getting ripped off with ‘near’ hearts and arrows diamonds. I recommend Whiteflash’s A CUT ABOVE Diamonds for their detailed diagnostics and exceptionally high cut-grades. I would also consider the Blue Nile Astor Collection if your budget is a little smaller. ASET stands for Angle Spectrum Evaluation; this specialist tool is used to evaluate the light performance of a diamond. ASET shows how effectively the diamond uses the light around it. The mapping image produced shows the angle and range of the light that the diamond is using. The various colors seen on an ASET map correlate to the different angles that the light is entering the diamond. An ASET map is particularly useful when considering fancy shaped diamonds; the report can provide vital information about the light performance of every facet, every axis and every meeting point of each face all of which pertains to the sparkle of the diamond. The main purpose of an ASET map is to give you an exact representation of how a diamond will sparkle. Viewing a diamond by eye is great, but lighting environment and obstructions can interfere with how we see the diamond. The best way to think of it is that viewing a diamond by eye will tell you how the diamond sparkles in that precise moment in those exact circumstances, whereas an ASET map gives definitive answers about the overall light performance of the diamond. This image from Whiteflash shows the same five diamonds that we previously looked at through the hearts and arrows viewer. We know that the far-right diamond is a true hearts and arrows diamond, and the ASET image can tell us even more. A superior diamond will use more light in the 45-75-degree range as at this angle range reflects the brightest. The more red areas we see on an ASET map, the brighter the diamond is. Using the image above as an example, we can see the hearts and arrows diamond shows more red areas than the poorly cut diamonds and displays a consistent pattern. Green areas are not quite as bright, and blue indicates obstruction and serve to contrast the brighter areas. Do All Vendors Provide Diamond Imaging? 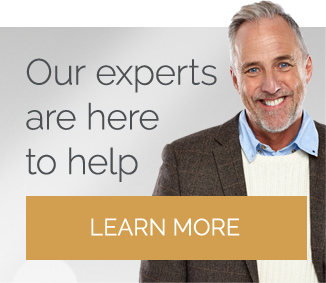 As consumers have become more informed of diamond quality, the pressure has been placed on vendors to provide diagnostic imaging of their diamonds. However, some companies neglect to provide the more detailed or technical images. When a company has confidence in their diamonds, they will use every specialist tool possible to prove the quality of their diamonds to the consumer. While a lesser vendor may provide the basics (a high-res image of the diamond), the best companies will provide more detailed reports not only to give the buyer peace of mind, but to demonstrate the superiority of their diamonds. So much of buying a diamond is personal preference, but when it comes to sparkle we are all after the same thing; a diamond with exceptional fire, brilliance and scintillation. These reports will give you the truth about the light performance of your diamond, and can be used alongside your own keen eye to find the perfect diamond. For a high-performing diamond with all the reports and diamond imaging to back it up, I recommend Whiteflash; James Allen will also provide them on request for some diamonds.